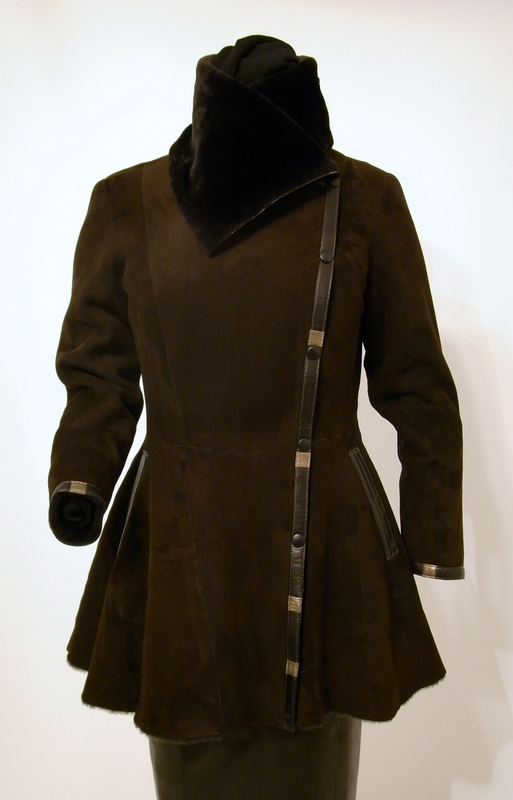 This is one of our new designs this fall, a fitted at the waist ebony merino shearling, trimmed in a bronze and black lambskin edging. 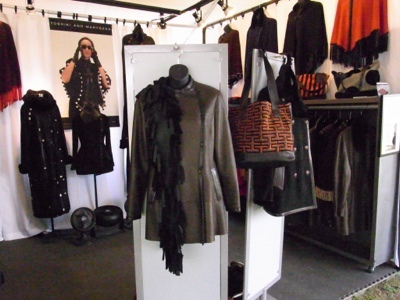 It has a wide asymetrical collar that hugs the neck to keep out the chill, but can also be worn open to drape over the collarbone. 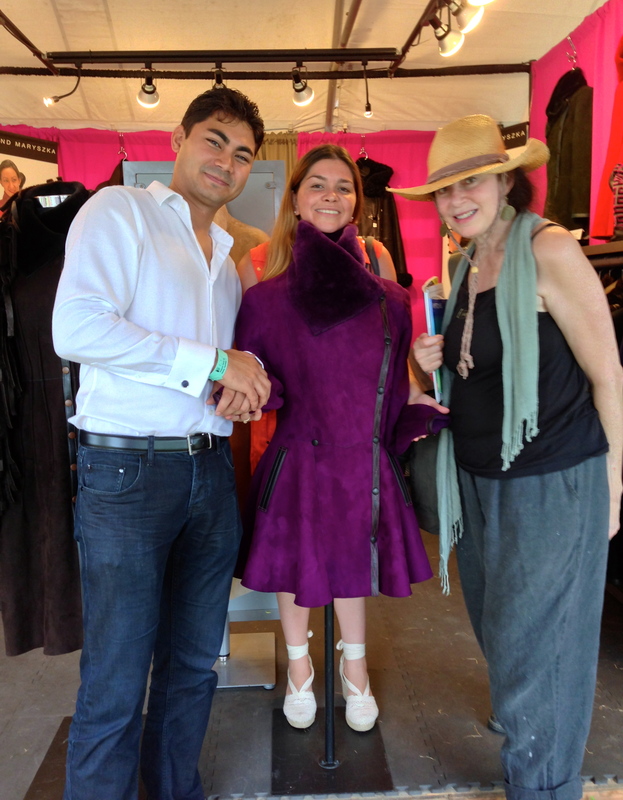 I just shipped this coat out to the woman who purchased it at the Hampton Classic, and she looked absolutely gorgeous in it, so the piece is now complete. 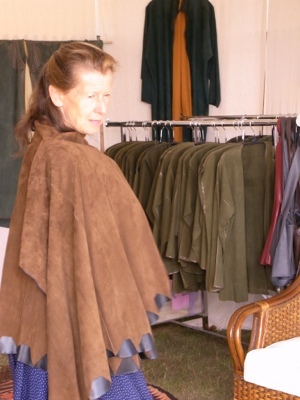 So exciting when the right person gets the right coat! 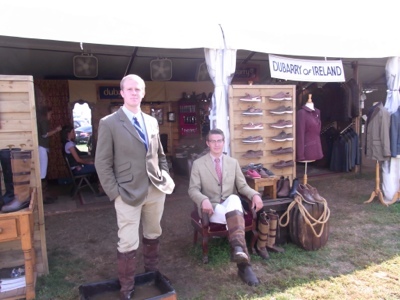 Last chance to shop, Toshiki & Maryszka shearlings, Art Ewka, Dubarry of Ireland, plus more in Bridgehampton, so get over here! Ever since I moved to New York in my early 20’s, I would wander around lower Manhattan before it was “Soho”, I would pass by a shop with an oval sign hanging above a small shop on a tiny little street. 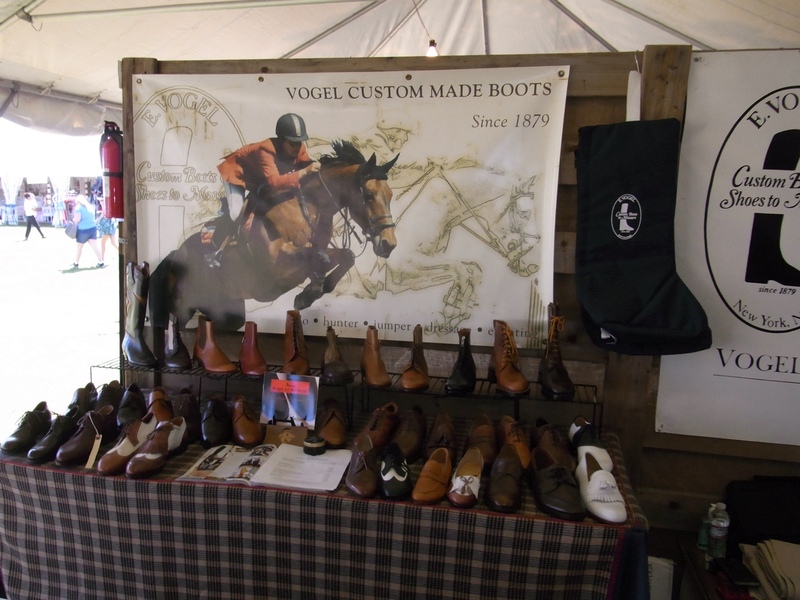 It had an image of a riding boot, and said Vogel Handmade Boots. Intriguing, and not at all what I expected to find there, although that area used to be primarily manufacturing, and where we would shop for buttons and zippers and trims. 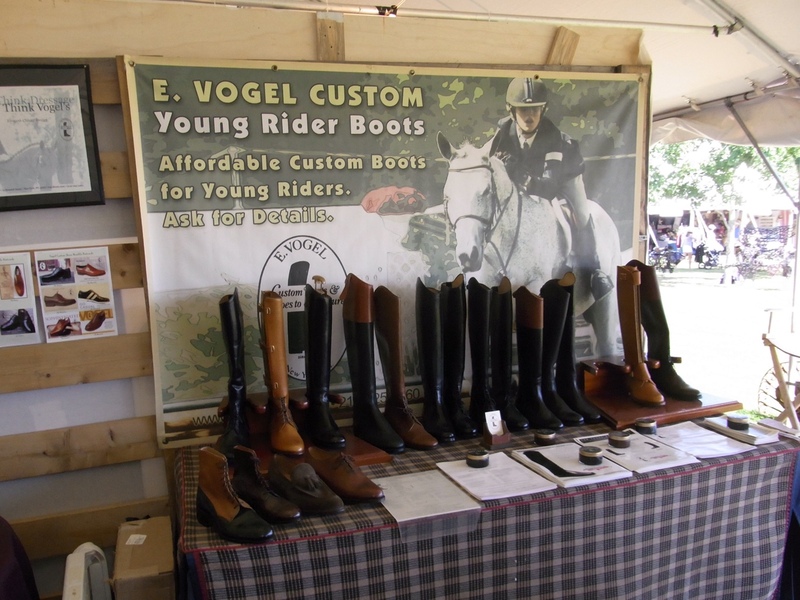 Now that we are showing our shearling coats at The Hampton Classic in Bridgehampton, NY, I had the chance to meet Hank Vogel, the 3rd generation boot maker (his son is the 4th) in a company that began in 1879! 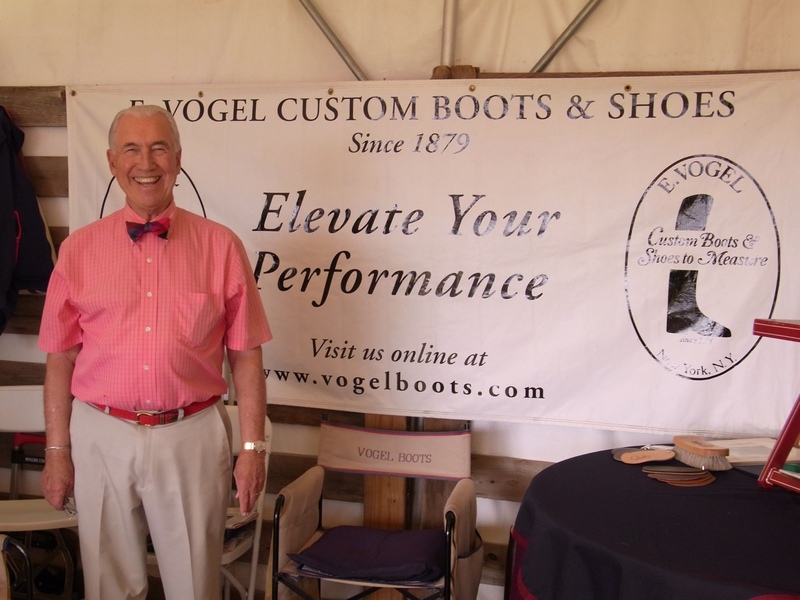 A very nice man with a million dollar smile, carrying on the tradition.